"Europe should play a leading role"
Synthetic fuels, produced using green power, provide one effective means of reducing emissions from passenger and freight transportation, but at the same time they present manufacturers with new challenges. Vera Schmitt is Head of Business Development and Strategy at Continental Powertrain. In what follows, she opens a window on the feasibility of using synthetic fuels in the existing vehicle population, the necessary political framework, and what the future holds for these ecologically attractive fuels. 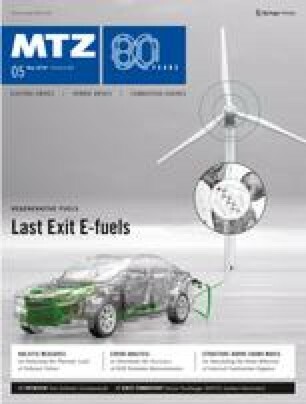 MTZ _ The so-called e-fuels have enormous potential. Can you give us some idea of how great the savings could really be?